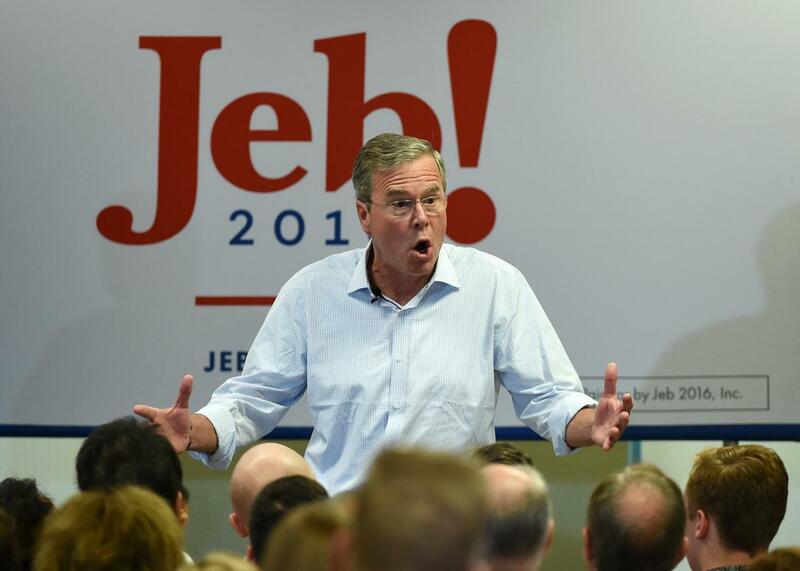 Yes, Jeb Bush's "stuff happens" Roseburg quote was bad. Republican presidential candidate Jeb Bush speaks during a campaign rally at the Veterans Memorial Leisure Services Center on September 17, 2015 in Las Vegas, Nevada. Two words from Jeb Bush were enough to bring Politics Twitter to an exhausting semantic analysis Friday afternoon—just the sort of tedious debate the world looks forward to before sailing into the weekend. A tweet from New Yorker political reporter Ryan Lizza suggested that Bush may have acted eerily Rumsfeldian towards the Roseburg massacre at an event in South Carolina. This sparked a relatively cross-partisan debate about Bush’s meaning. Was he shrugging off the massacre, in a what a crazy world we live in, whatcha gonna do sense? Or was he—as conservatives like Frank Luntz as well as liberals like the New Republic’s Brian Beutler and the Intercept’s Glenn Greenwald suggested—implying that the “stuff” was tragic, but it’s best to react cautiously lest hastily thought-out public policy decisions are made? Bush wasn’t shrugging off the incident as unimportant, or just one of those things that happens. But he also seems to be treating it as an isolated incident that we haven’t seen recurring over and over again for years now. This massacre was not the dawn of a previously unconsidered public phenomenon; there are gun-control policy options available that legislators have been working for years to enact. It wouldn’t be an “impulsive” decision to move on them now, nor would it have been several years ago when President Obama pushed unsuccessfully to get them through Congress. He’s right as a matter of principle that you never want to pass a sweeping law immediately after a tragedy, before the country has had an emotional cooling-off period to properly assess its consequences. But “constant and accelerating gun massacres” was not a situation that began on Thursday in Roseburg.